Schlumberger NV on Friday named Olivier Le Peuch as chief operating officer, setting him up as a possible successor to Paal Kibsgaard for the top role at the world's largest oilfield services company. 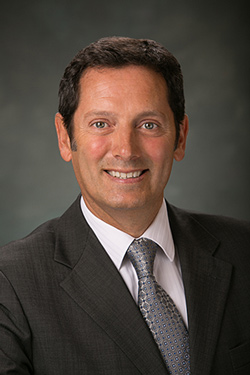 Le Peuch has previously served as the president of Schlumberger's oilfield equipments making unit Cameron Group. The appointment marks the formal beginning of CEO succession, wrote Jefferies analyst Brad Handler in a note. "That process comes earlier than we expected given Paal's age and the recent downturn", he added. Kibsgaard, 51, assumed the CEO role in 2011, succeeding Andrew Gould. He joined Schlumberger in 1997 as a reservoir engineer in Saudi Arabia. "Some investors have expressed frustration over Schlumberger's strategic direction and may view succession planning as a move to shift the company's focus," said Cowen and Company analysts in a note. Kibsgaard struggled to steer the company out of the effects of the 2014 downturn in oil prices that hit the bottom-line for Schlumberger and its rivals. The Houston-based company's shares fell about 46 percent last year even as crude prices recovered. Rival Halliburton Co fell about 45 percent and GE's Baker Hughes dropped 32 percent in the same period.